Thanks for a great challenge last week, your Autumn themed cards were beautiful! 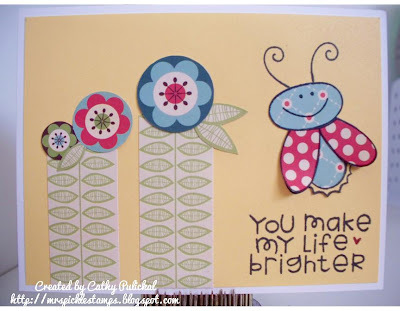 This week we challenge you to make cards for our heroes to send home to their loved ones using the theme “A Bugs Life”, find your stamps and digital images with bugs/insects and have fun, I can’t wait to see your card creations! Our sample card maker this week is Cathy! To see more of Cathy’s wonderful art work please visit her blog Mrs. Pickle Stamps. Thank you Cathy for sharing your awesome creativity with us! We also have a sponsor for our Midweek Throwdown challenge this week, Laurie at Doodle Pantry is offering a nice prize package for one lucky winner! Super cute Cathy! Love the use of OA paper! What a great idea for a challenge! The only place I like bugs is on cards, so this will be fun! 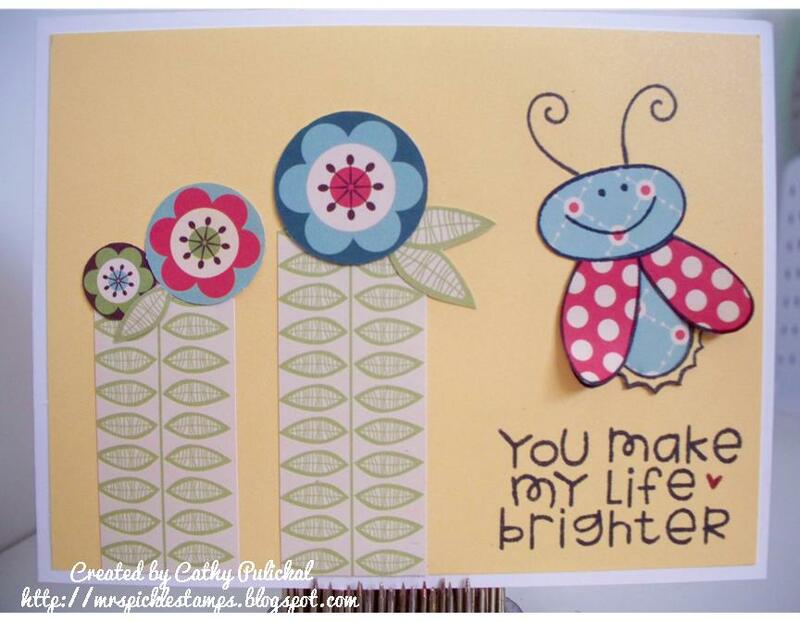 What a cute ladybug Cathy, and a great challenge, I love bugs (ants). Great sample card and such a cute paper pieced bug too! This is a fun challenge... I have to hunt down my buggy stamps. I so agree with Sherry, great challenge and the only place I like any kind of bugs is on a card- lol! Good luck with your challenge! What a bunch of really cute cards. Great job everybody.